When will we really start seeing autonomous cars, without a driver, joining our paths? According to Zeev Shetach, the founder and CEO of the information security company Comda, not before 2035. 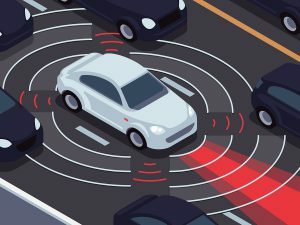 Although high-tech and vehicle companies have been promising us for several years that by 2020 autonomous vehicles will begin to travel on Israel’s roads and that the State of Israel will become the global capital of autonomous vehicles, Zeev Shetach thinks otherwise — “It does not seem practical to expect that autonomous vehicles will drive on Israel’s roads by 2020. In my estimation, this will happen only towards 2035, and the change will take place gradually” He says. “The main reasons are the absence of the conditions required for such a revolution, e.g. : a need for multi-system management, not only of the vehicle manufacturers and technology companies, which will allow for the advancement of autonomous vehicles. Roads – there are not any plans for even one such road; after planning – the stage of implementation will come, which will encounter opposition from the authorities. Signs – special and appropriate signs, information security, reference to emergency situations and distress, the preparation of laws and regulations – which has not yet begun, training courses for the general public, the deployment of a 5G cellular network suitable for this specific purpose. On the other hand, it is possible to compare electric cars to electric trolleys (driven by people), Which operate in special (electric) paths. That already exists, but an autonomous vehicle is more complex than electric trolleys “. What are the elements that significantly threaten to delay the entry of autonomous vehicles into our lives? What challenges should be solved before the vehicles are fit for private use? “As long as the goal is to allow vehicles to reach point to point (such as a train or a trolley), then this is a relatively simpler preparation and appropriate infrastructure can be prepared. Once the goal is to reach a situation where paths cross each other, the network becomes more complex and should be managed from a central traffic control center. It will be necessary to upgrade the existing transportation control center, to prepare a plan for the next 10-15 years and to set goals and objectives in stages. At present, Israel’s road infrastructure is not suited to autonomous vehicles. The signs and markings we respond to while driving are not suitable for photography and decoding by the camera of the autonomous vehicle. Weather conditions may also affect the new vehicle systems and there is no way of knowing how the vehicles will work under extreme conditions (heavy snow or hail). Although these conditions are considered rare in our country, their power should not be underestimated. Even today, during heavy rains – the roads are flooded and there are many traffic disruptions. Autonomous vehicles will find it difficult to manage under unfavorable road conditions. Autonomous vehicles will need continuous and stable computers communication. About three years ago, a team of experts managed to penetrate the Cherokee Jeep’s semi-autonomous vehicle and cut off the Internet broadcast. We can assume that the Cherokee security system has improved significantly since then, but still, the protection is not enough. Such a threat can be expressed by exposing personal information about the driver’s behavior, disrupting the vehicle’s systems or even changing the route of the car journey. In addition, there will be a change in the business model of vehicles and the driver’s perception: vehicles will be perceived as a service and not property (instead of purchasing an autonomous vehicle according to the existing model, people will prefer to rent autonomous car services that will be offered in the future by car industry giants). What is the effect of the regulation on the entry of autonomous vehicles into the Israeli market? “Regulation in the field of autonomous vehicles does not yet exist in practice. Regulation should be prepared in many matters: transportation infrastructure, driver behavior and duties, manufacturer’s responsibility, driver’s responsibility, state responsibility – both towards the driver and third parties, the rights and obligations of the insurance companies. It will be interesting to see how the insurance companies will deal with customers on the one hand and with vehicle manufacturers. Today, insurance companies do not conduct with the manufacturer unless there is clear proof of a problem with the manufacturer in the event of an accident. It has recently been reported that the United States and Britain are progressing in their attempts to regulate the area. How does this affect the world of employment? “Autonomous vehicles will gradually change the employment branches. At first, it is expected to change the structure of the manufacturers’ profits, which will cause the disappearance of companies that fail in their assessments. Companies that survive – will have to rely more on software and robots and less on human production lines like today. It is necessary to plan, step by step, the income and expenses and see where this leads the company economically. From here, it will be necessary to derive the structure of employment and the type of workers. Professions such as public transport drivers, truck drivers, fuelers, traffic police, parking lots, garage, insurance, law, the Licensing Office, and automotive finance industry workers will have to undergo changes. New industries will develop, such as: robotics, cameras, electric batteries, service and maintenance of vehicles, nationwide electric networks. Garages will need to acquire different skills in the software and the manufacturer’s test tools (which is already happening).